Tecsol is a young and dynamic company. It was founded in 2006 and up to now, it has developed to a small business in electric engineering. Due to a quality management system's (QMS) introduction, maintenance and further development corresponding to ÖNORM EN ISO 9001/2008 we assure you that we produce our services and products to your complete satisfaction. 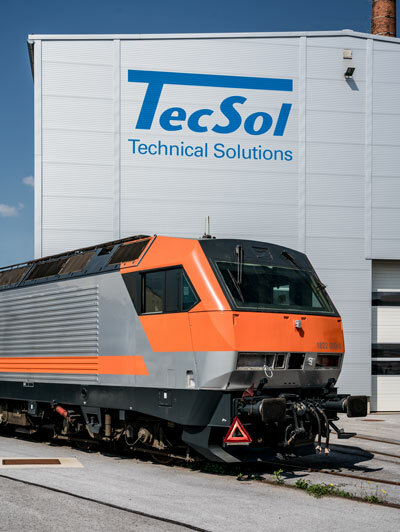 We expand our competence and our personality constantly, so we will develop to become an international accepted provider for challenges in electric engineering, building and refurbishment of rolling stock as well as in automation. We not only develop innovative and goal-oriented solutions together with our customers but also strategies in electric engineering which enable our customers a technical and economical advantage. Therefore we deal with the most progressive technological possibilities to satisfy our customers in a long-term and profitable way.